The past few days UD X has been popping up in the local Targets and of course I had to get my grubby hands on them. Well they weren't grubby 'til yesterday when they became covered in brake dust from running the Hot Wheels car wash outside, but that's a whole other story. 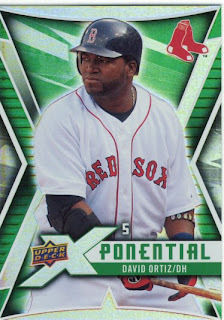 I like UD X for a few reasons: the XPonential cards, die cut cards, ease of set completion for those that choose that route. 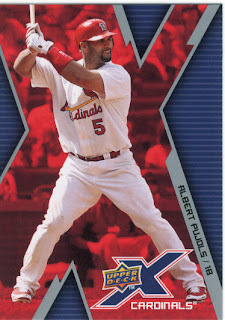 I know it will take me forever opening packs to pull 6 XPonential Pujols cards (yes, this year there are 6). 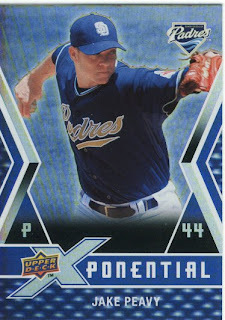 The one thing I don't like about the XP cards is that one of them is horizontal, and if you're going to make a subset can we do it uniformly so that my binder page is nice? Just an idea. 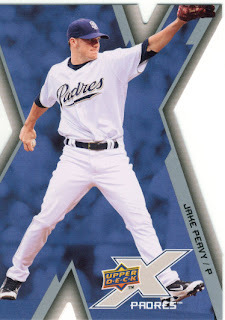 I am weird about stuff like that, I would prefer all cards of a subset to be uniform rather than half one way and half the other. 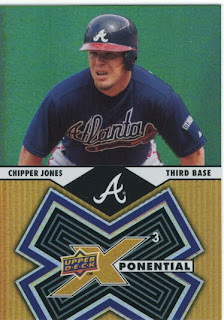 Anyway, here are some of the highlights without listing the many, many base cards. 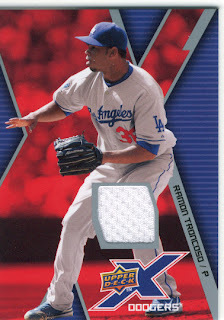 And clearly you all know I am missing all 6 Pujols XP, and the Pujols die-cut. 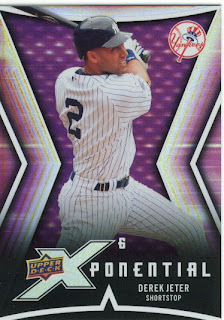 Of course though I ended up with the Jeter XP6. 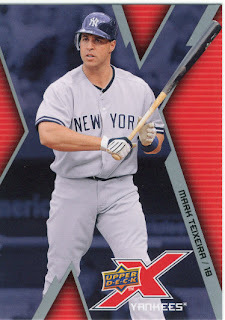 I am off to the Yankees v. Red Sox game this afternoon so there will probably be some tweeting and perhaps some twitpics as well since we're supposed to be sitting kind of behind homeplate. 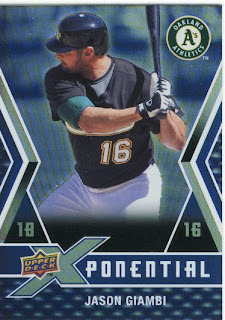 I think I'm dreaming... someone else that likes UD X.
I have one of the Pujols XPonential cards. (X-AP) Would you like it? I'm going for the base set mainly. 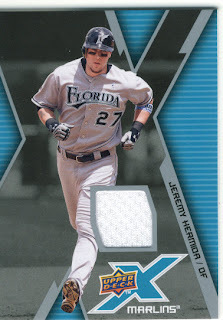 I've always liked the UDX cards. I thought I was the only one. 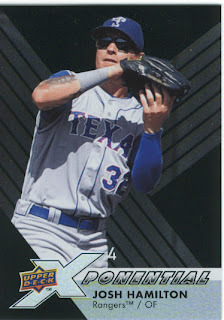 McCann, definitely like to have that Pujols XP, will trade you something for it. 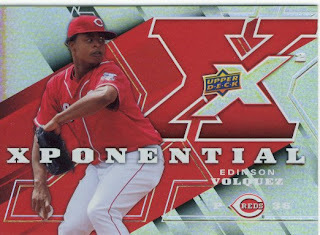 UD X while not the greatest designed set, it is a simple base set to complete and the XP inserts are fun despite being impossible to get all the Pujols. I sent you an e-mail about the card.